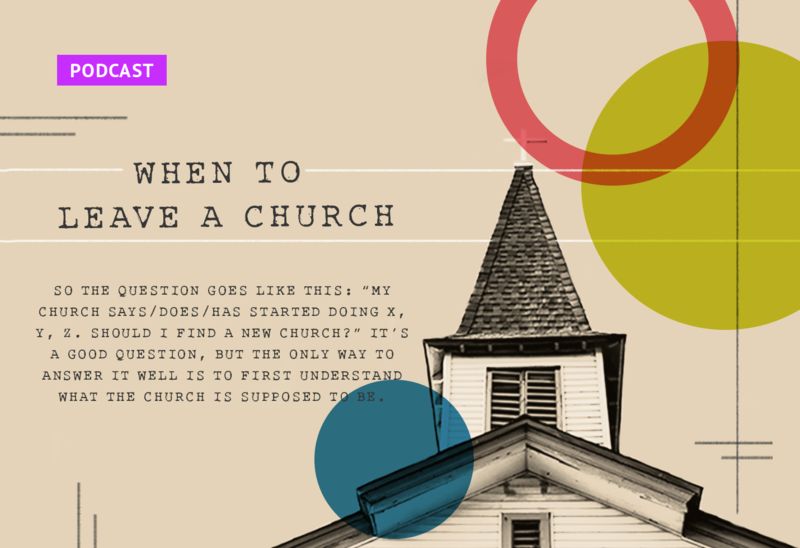 A question that we frequently find in our inbox is about certain scenarios in which someone is unsure whether or not they should leave their church. Before you can answer that question well, you have to first understand what the church is FOR. You can’t know if a church is actually a church before you know what a church is. And what if you’re wrong? What if YOU are the problem? In order to answer that, you have to understand what the duties of Christians are to the church. So let’s chat! 2:00 A discussion about how we consume music and television now as opposed to when we were kids. 5:15 Summer took the time to think about some of her favorite things. 12:00 What is a Biblical starting point when assessing this question? 14:13 You have to start with understanding what the church is FOR and what YOUR duty is towards it in a difficult situation. 15:00 Maybe you’re on your way out, but you don’t have to sin while you’re doing it. 17:24 Summer shares *some* of the steps that were taken before she left a church, and we start discussing what are some of the things that a church MUST do. 28:05 Can you leave your church with a clear conscience? So, I opened up Instagram and POW…right there staring me in the face is the topic we’ve been “discussing” for the entire day. Funny. It’s not a typical situation with my father being the pastor which I think makes this more difficult of a situation. Anyway, my wife just downloaded and we’ll listen together. Thanks! So timely for my husband and I. Thank-you! I ask that you please not lump all children’s church into the “stupid” category. We have our children in the time of singing and prayer then dismiss them for teaching that is appropriate for their age. Some of our people keep their children with them and some send their children (under 6th grade) to their class. Is that clearer? I am against having the parents and their children separated for the ENTIRE service. But I also appreciate teaching that is understandable to the age of the child.